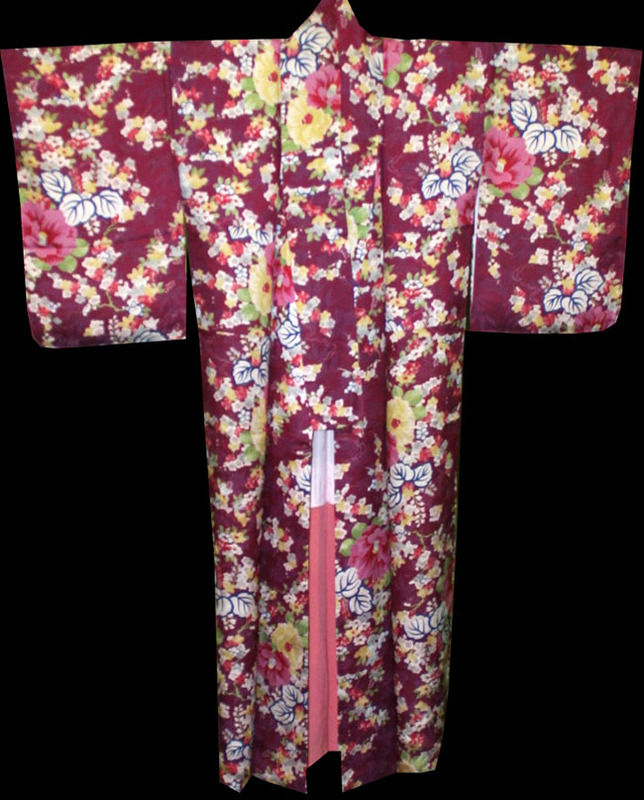 Kimoyes item: 22737 - Vintage soft shiny maroon silk with all over woven bamboo pattern in pale violet. 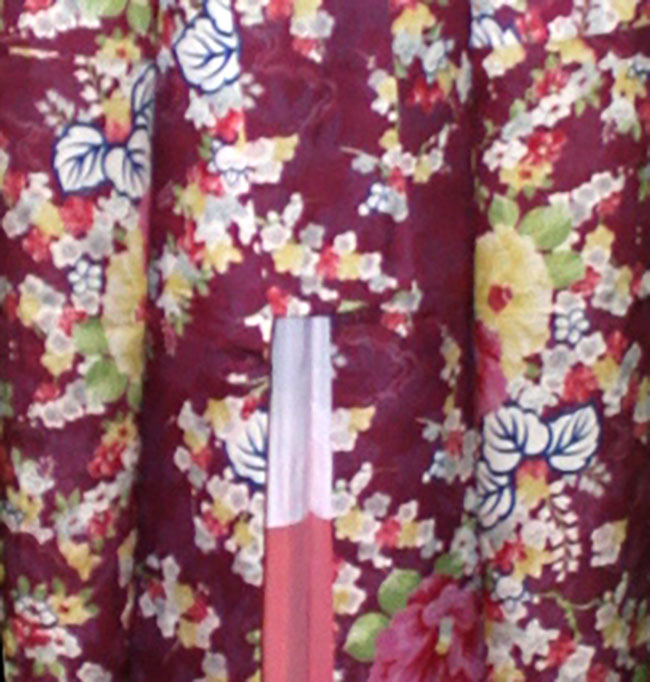 Vintage soft shiny maroon silk with all over woven bamboo pattern in pale violet. 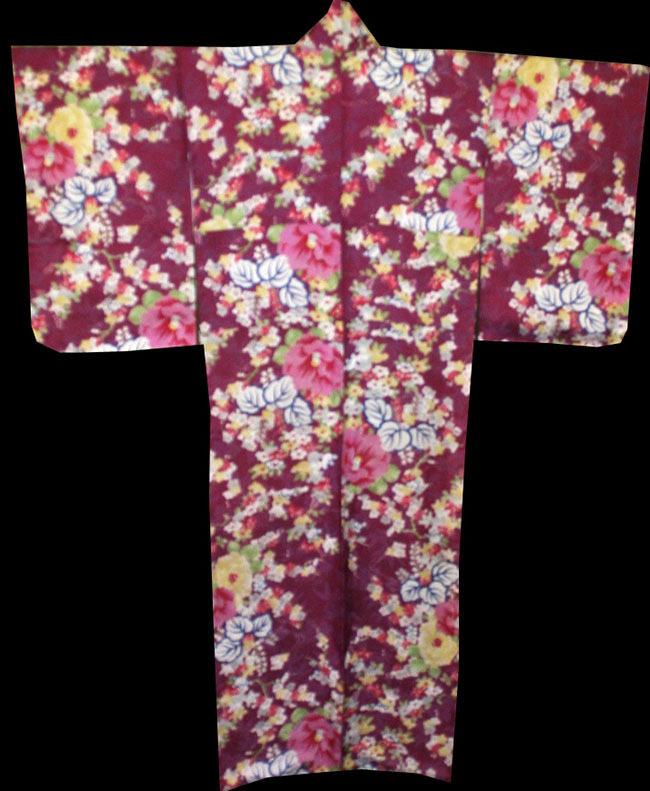 The cherry blossom pattern is charming. The inside upper is cream silk and the lower inside is a dusty pink coloured silk with woven swirl pattern. It is 60 inches long and 50 inches from sleeve cuff to sleeve cuff. Lovely to wear or display.